One of the most important commitments of our lives, is marriage. Many things can fail, but when a marriage fails, much deeper things get lost. That is why we must be very careful with marriage. We must analyze whether there are quarrels, we have to want to make up and resolve them with a good communication, and not allow any resentment to build up until one day it bursts and brings down a romance that overflows with love. It is for this reason that a renewal of wedding vows is important to think about the feelings that hold together the relationship and remember the promises that they offered to each other in the day of their marriage. The renewal of wedding vows is important for every married couple, because with this ceremony, the couple can promise eternal love, faithfulness and support to each other and remember all the promises that were made at the altar. Even if your marriage is on the right track, a renewal of vows will always improve the relationship between the spouses, strengthening and preserving their bonds, making the feeling that united them once be renewed. If you have not found the inspiration to write your vows or if you have a little time to think of a good promise, do not fall into despair. On this article we offer you many beautiful promises that you can express when you renew your wedding vows, we are sure you will be pleased by them and that you will find them extremely useful. 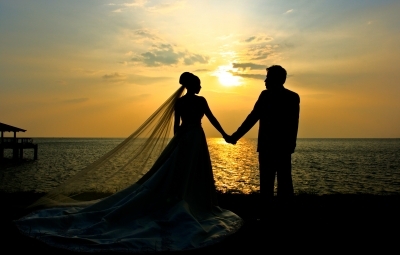 We hope you like our promises of love and that they are useful to you when renewing your wedding vows. If you liked this page you can help us by giving us a “like” on facebook, G+, twitter. Also if you want you can help this website by sending your vow renewal texts, and will be published, others friends will thank you .